After a successful five-week beta period, Native Instruments announced the release of the official full version of Stem Creator – the first standalone application developed specifically for Stem file creation. 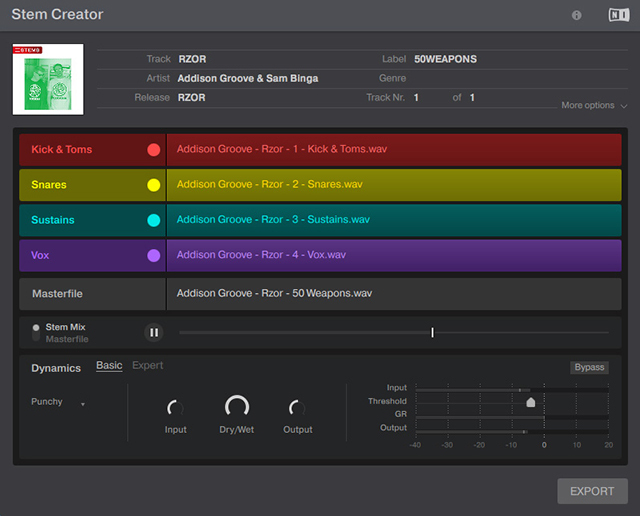 The Stem Creator Tool is available now for free download at the Stems Music website. The new tool provides a simple way to create high-quality Stem files using a drag-and-drop interface and integrated mastering controls to fine-tune the final mixed Stem file’s sound. Stem Creator enable producers, DJs, labels, online stores, and the entire world to create their own Stem files and discover a new music experience. A Stem file contains a track split into four musical elements: A drums stem, a bassline stem, a melody stem, and a vocal stem for example. Each ‘stem’ can be controlled independently to create instant new mixes, mashups, instrumentals, acapellas, and more. Creating Stem files is quick and easy with the free Stem Creator. To create a Stem file, creators first prepare and export four isolated musical parts of a track from their DAW or audio editor, along with the final mixed version – five uncompressed audio files in total. Then each file is imported into the Stem Creator where a limiter and compressor are adjusted to match the stems with the volume and dynamics of the original stereo master. Standard metadata like track name, artist, and album name can then be edited, along with advanced options like stem name and color, catalog number, and album art before finally exporting the finished Stem file. 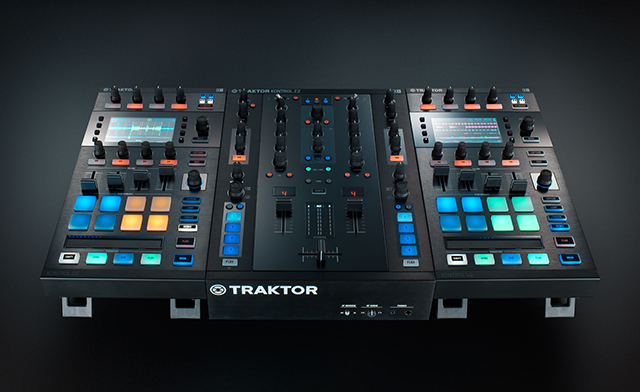 Stem files allow you to interact with four different musical elements of a track independently while DJing – expanding performance possibilities that make your DJ sets stand out. These four ‘stems’ of a track can be modified individually to create spontaneous instrumentals, remixes, or mashups. Transition between elements stem-by-stem instead of using global volume and EQ control for an entire track. Or apply effects just to a specific stem. And to get really creative, swap elements across multiple decks – take the vocals from one track and mix it with the beat from another, for example. As an open format, anyone can create, perform with, and distribute Stem files. If you create your own music or produce for other artists, Stems offers a new way for your work to get noticed. Providing your brand new material as Stems ensures exclusive promotion through your network of trusted DJs. Onstage, Stems also lets you perform your tracks live while retaining the creative possibilities of both DJing and studio sessions. As a producer or producer-DJ, you can use the free, standalone application called the Stem Creator to create Stem files. As a premium file format, Stems can create new revenue streams for labels and online music stores to grow their business. A new release will boost label visibility while the hooks, basslines, and more from classic hits are reborn through the imagination of countless DJs and producers. Native Instruments also announced that later this year, a special developer toolkit with specifications, code examples, and the application’s entire DSP library will also be available from stems-music.com. The developer toolkit will make the technology behind Stems readily available for anyone to integrate into future software and hardware. Support the Stems producer community by using the hashtag #makestems on social media.